Annoyed with unclear iTunes syncing? With MOBILedit! you can browse the media files on any iOS device in the same familiar and straightforward way you would with Windows Explorer. You can copy photos, videos, ringtones, notes and other files between phone and PC. For advanced users there is access to phone application data files and system files, so you can even fix issues related to the original firmware. 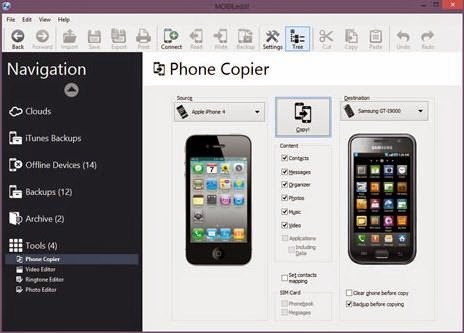 0 Response to "MOBILedit Enterprise v9.3.0.23657 Latest Update [+Portable]"